This beautiful bird is a common, easily seen species at fruit feeders from Mexico through the entire Amazon Basin; it was introduced in Florida, but that population died out decades ago. You can learn more about it on the Cornell Lab of Ornithology’s Neotropical Birds website. 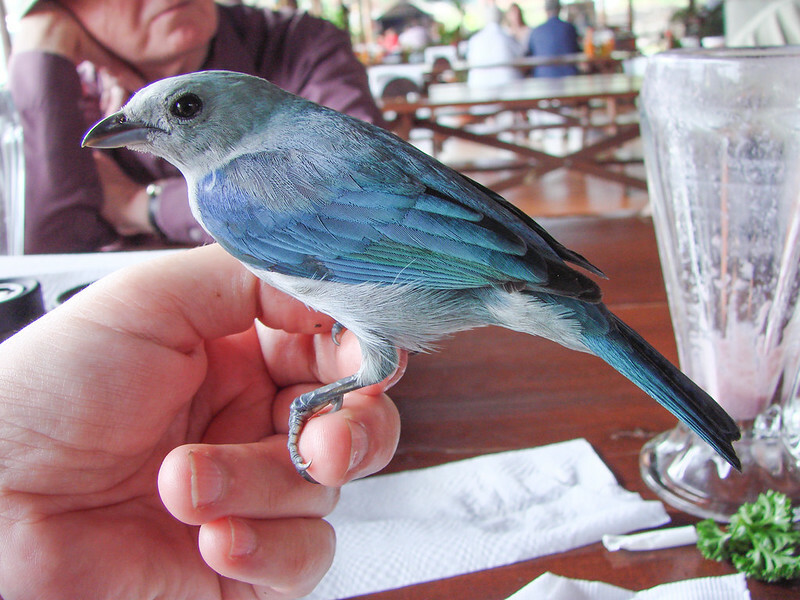 The bird held in my hand in the photo was stunned in a window collision. It recovered and flew off a few minutes after the picture was taken. With luck, it didn’t succumb to a head injury later.